DirecTV. Personal Service. 5-Star Support. Tired Of Your Cable Provider? We Know How Important Your Television Service Is To You! Come To The Premier Satellite Television Service Provider in the SF Bay Area, serving San Mateo, Redwood City, and San Jose. 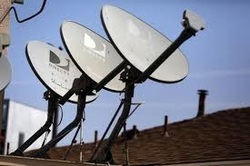 Get Connected with 5-star service for Satellite TV. The Remo Group is the highest rated satellite television dealer in Northern California and your direct connection to the hottest shows on HBO and Showtime, as well as DirecTV's NFL Sunday Ticket. Always available to answer any question, let The Remo Group show you how to save money while getting the programming you want! 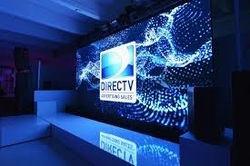 DirecTV is the premier satellite television provider. If you are a sports fan or a movie buff, you will love DirecTV's NFL Sunday Ticket, channel selection and HD picture quality. From Home Dish Installations and Removals, to MDU Infrastructure Design and Installation in high-rise buildings, The Remo Group is ready to handle your job, large or small.